Considered to be the most typical British damselfly, it shares its blue and black colouration with several other species but can be distinguished from the others by its broad ante-humeral stripes. The female occurs in two colour forms, one blue, as in the male, and the other dull green. 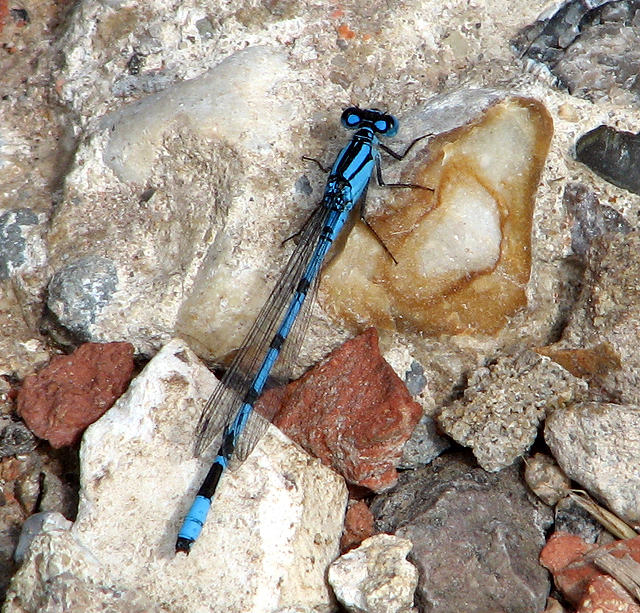 This damselfly occurs in most waters and on large lakes where it is usually the most abundant species.